Newville was founded in 1823 by Frederick Herring who built a grist mill near Bellville and a second mill at Newville near the Clear Fork. 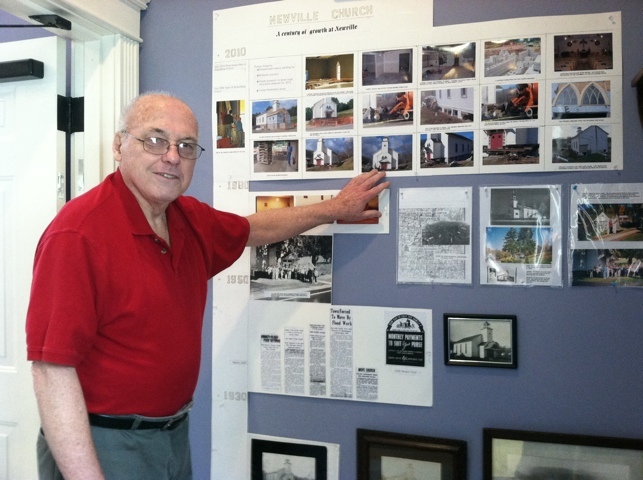 Newville had several churches through the years including the building we currently use today. 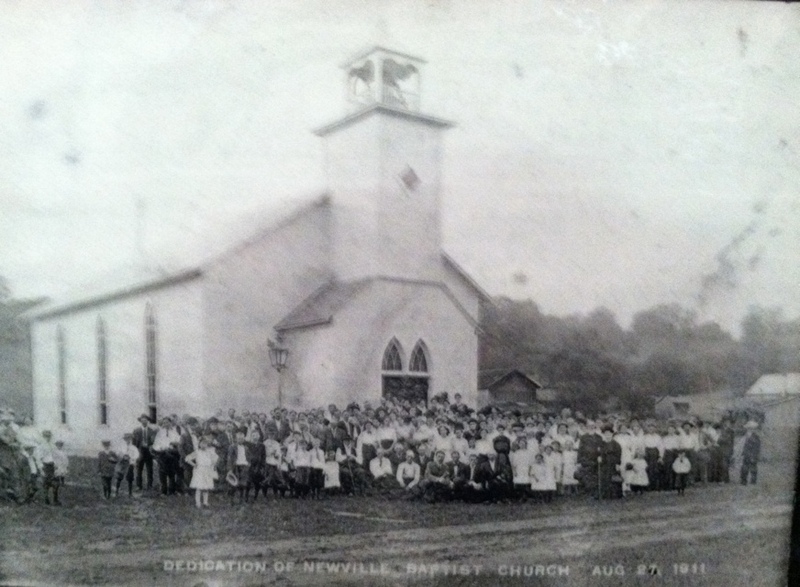 It was built in 1911 and dedicated on August 27, 1911 as the Newville Baptist Church. The town and church were located in the Southeastern portion of Richland County and was prone to the Clear Fork flooding as well as other small creaks. Newville was located a little Northeast of the intersection of Possum Run Road and St Route 95. This is about 1 mile East of our present location. In 1936 it was determined that measures were needed to stop the flooding that was doing serious damage to the Ohio River towns and cities like Wheeling WV. The worst flood in Wheeling was 1936, when the river crested at 55.6 feet in mid March. One current Newville member had relatives in that flood who retreated to the roof of a two story home waiting rescue. After this flood the Musckingum Conservancy District proposed flood control dams and lakes to control and hold the water. Newville would be in the flood zone and the town had to go. The officers of the church were offered plots of land if they wanted to move the church. They selected the location we are currently in and began preparations for the move. The move was complete in late 1936 or 1937. Fred, you did such a nice job on this wall. Thank you. It is apparent Fred put a lot of time and work into putting this together for us. Thank you, Fred! It is wonderful to see how God uses our different talents . Fred’s fine work is such an asset to God’s Kingdom.